Inviting widespread public support, the objective of the campaign is to keep the EU’s Water Framework Directive as rigorous as possible. With many EU member states failing to meet the targets of the directive, rewilding can help to improve the health of European water ecosystems and guarantee sustainable supplies of freshwater. Rewilding Europe is supporting the #ProtectWater campaign, which is working to keep the Water Framework Directive as rigorous as possible. Today Rewilding Europe is committed to restoring waterways and water bodies to their wildest possible condition across its operational areas, with hydrology governed by natural processes. It is for this reason that we wholeheartedly support a new campaign launched yesterday to keep the European Union’s Water Framework Directive (WFD) as rigorous as possible. The online campaign, called #ProtectWater and supported by a total of 100 European NGOs, is spearheaded by WWF, the European Environmental Bureau, European Anglers Alliance, European Rivers Network and Wetlands International, who together form the Living Rivers Europe coalition (launched in March 2017). The campaign, which will run until March 4, 2019, calls on the European Commission to defend the WFD, the EU’s main legislation governing the management of its freshwater resources. Just as the Birds and Habitats Directives were evaluated several years ago (and passed fit for purpose), the WFD is currently undergoing its own fitness check. This new campaign, which provides an easy tool for people to express their support for keeping the WFD strong and effective, is the only opportunity for the general public to have its say during the evaluation period. Despite the implementation of the WFD, many EU member states are failing to meet its targets. Rewilding can help to secure sustainable supplies of high quality freshwater. The #ProtectWater campaign uses provocative scenarios and imagery around the future of beer to encourage citizens in Europe and beyond to participate. The scenarios painted in the campaign may seem extreme, but beer companies are indeed worried about the future quality of water in Europe. They have issued a joint statement, signed by breweries such as Hungary’s Csupor and Slovakia’s Association of Small Independent Breweries. Recognising that their ability to produce quality beer relies on the protection and sustainable management of Europe’s water sources, these companies all support the WFD in its current form. Habitat loss and degradation is a major barrier to biodiversity conservation and achieving the objectives of the Birds and Habitats Directives and the Water Framework Directive. Restoring and maintaining large and inter-connected areas of high quality habitat such as wetlands and floodplains is therefore vitally important to the conservation of European nature and securing sustainable supplies of freshwater. Rewilding, which can help to create an urgently needed, well-connected network of green and blue infrastructure right across Europe, typically represents a cost-efficient approach to ecosystem restoration. The goal is to restore dynamic and self-sustaining ecosystems and, where appropriate, stimulate new enterprise and economic activity. This opens up the prospect of significantly reducing recurrent management costs, and the opportunity to raise new investment and income streams, thus creating new incentives for stakeholders and local communities to value their natural capital and support conservation. In 2017 Rewilding Europe conducted river restoration in two of its operational areas: Lapland and the Oder Delta. In Lapland this work has included the removal of log dams that are a legacy of the local forestry industry. We have also just received a 2.1 million euro grant from the Endangered Landscapes Programme to rewild an extensive area of wetland in the Danube Delta. 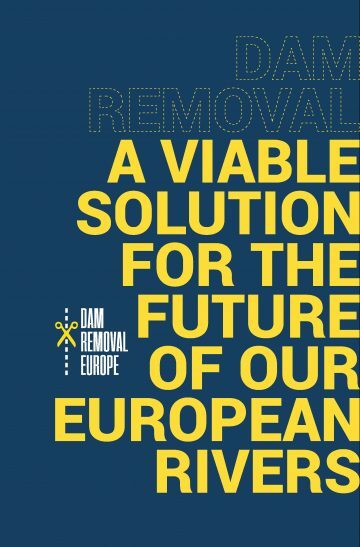 Rewilding Europe is a partner in Dam Removal Europe (DRE), a European-wide coalition of organisations working to restore European rivers by removing old and obsolete dams and weirs. And we support a campaign to fully halt Poland’s inland waterways programme, which would have a hugely destructive impact on wild nature and water quality if it was to be implemented. Read more about river restoration in Lapland here. Read more about river restoration in the Oder Delta here. Read more about Rewilding Europe’s involvement in Dam Removal Europe here. 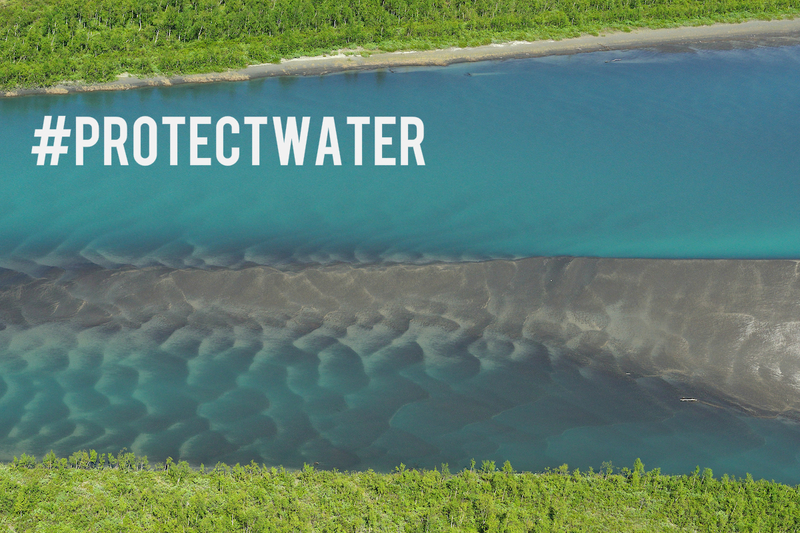 Visit the #ProtectWater campaign page here.